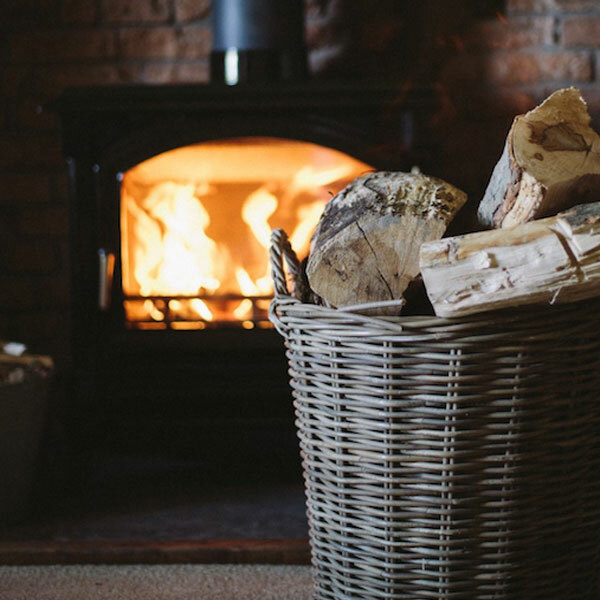 Once you've chosen a wood burning stove for your home, your next step is to find out which flue pipes and accessories you need to make sure that it burns safely and looks great. If you don't already have a brick chimney stack in your home, you'll need a twin wall insulated flue system. 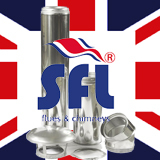 Because no two twin wall insulated flue system installations are the same, we don't supply complete flue kits. 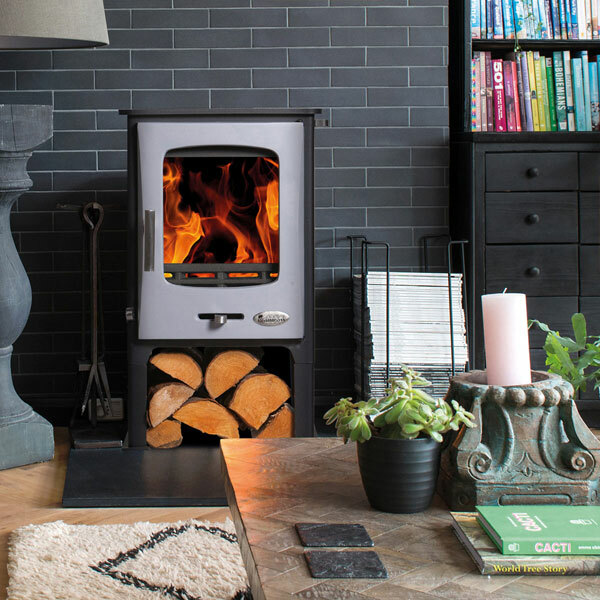 However, as HETAS-approved stove specialists, we here at Glowing Embers know everything there is to know about stove installation - so we've developed this handy guide on this page to help you identify exactly what pipes and accessories you'll need. If you have any questions that you can't find the answers to in the guide, give us a call on 01376 555182 or send an email to enquiries@glowing-embers.co.uk and one of our experts will be happy to help. When you buy from Glowing Embers, you can be sure that you're getting the best price. If you find the same product cheaper anywhere else, we'll try to beat it. Need it quickly? Order by 1pm for next day delivery on many of our products. Which accessories you'll need for the installation will depend on factors such as whether the flue will go through internal walls, floors and ceilings and if it will exit the property through an external wall or the roof. So it's essential that you settle on the route that you want your flue to take through your home before you select any accessories. If you haven't installed a stove before, you might not be familiar with what each of the different accessories do. To make it a bit clearer, we've compiled a glossary of terms. Used to change from one type or diameter of pipe to another, e.g. 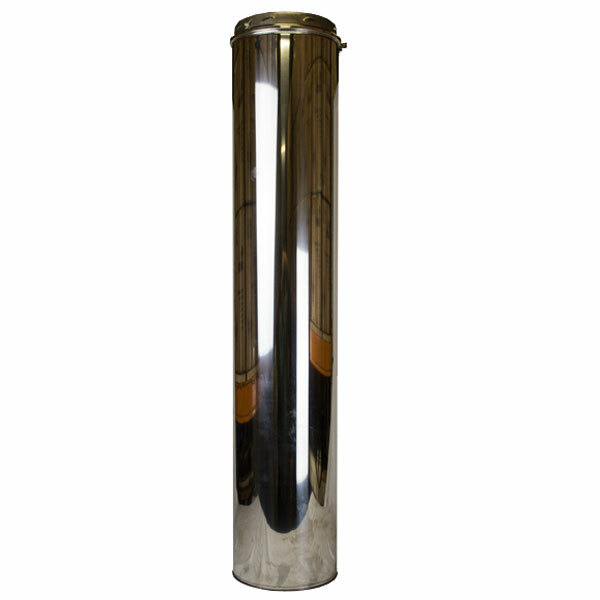 from a vitreous enamel pipe to a twin wall flue, from a stainless steel single wall pipe to a twin wall flue, or to change from a smaller diameter pipe to a larger one. Installed at the base of the vertical run of the chimney, it provides both horizontal and vertical support. Recommended in addition to wall supports for runs over 4-5 meters. 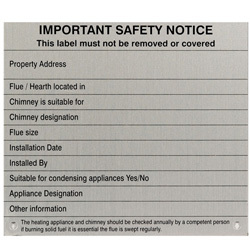 Required under Building Regulations, it displays the details of the installation for future maintenance, or to notify new occupants. Used internally on a capped chimney that no longer extends through the roof. For instance where a house has been re-roofed and the old chimney stack now finishes in the loft rather than passing through the roof. The console plate sits on top of the brick chimney in the loft to allow you to pass through your roof in twin wall flue pipe. This part can connect to flue liner that you may have running from your stove by means of another part - the 'Adapter From Flue Liner', which connects to the underside of the Console Plate. Also called a Draught Stabiliser, this is a type of pressure valve that sits on top of the stove and allows air to pass through it into the flue system when the updraft becomes too strong. 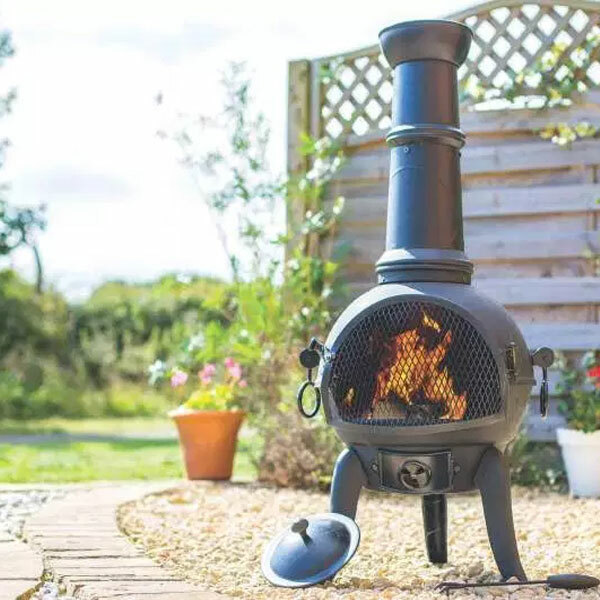 By allowing air to pass through it, it stabilises an overly strong updraft that might be causing a stove to burn too hot or too quickly and be uncontrollable. Used to change the direction of the pipe. A two-piece plate that covers the hole where the pipe goes through a wall. These cover where your flue pipe passes through a ceiling or floor. 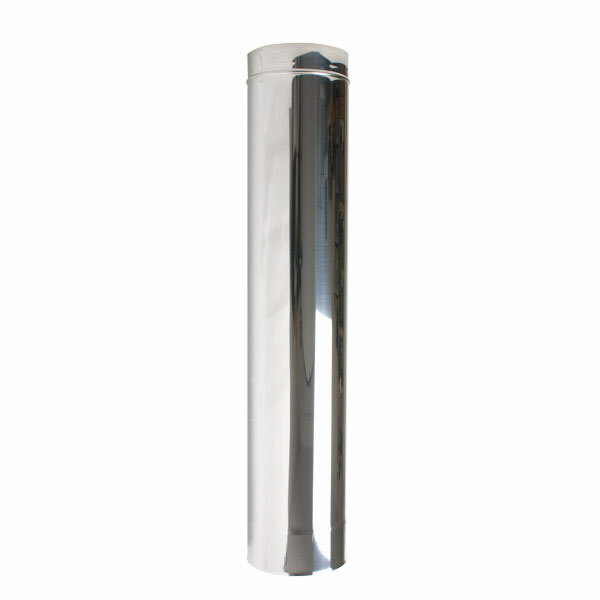 They ensure that the minimum distance between the flue and any adjacent materials is sufficient. 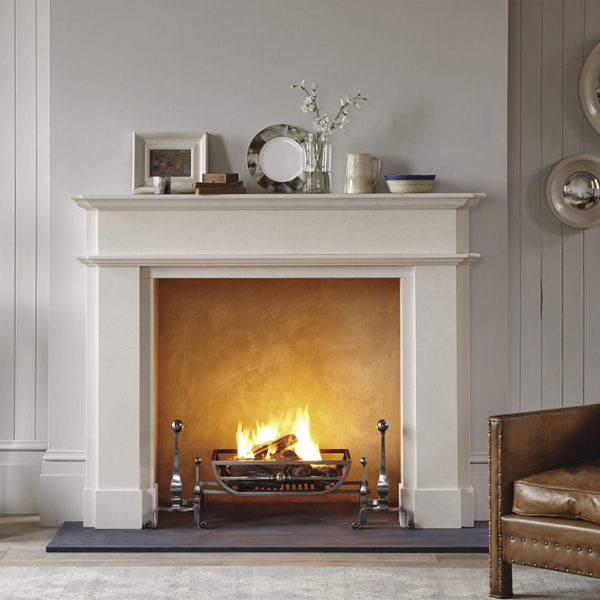 If you are installing a solid fuel stove you will need a ventilated firestop plate as solid fuel stoves burn hotter than gas and the ventilation allows adequate air flow around the pipe. They are designed to allow air to pass around the pipe but not flames to pass through them. You should use one on every ceiling and floor of an inhabited room. So an uninhabited loft does not need one of the floor but will require one on the ceiling of the inhabited room below. Used in conjunction with a Storm Collar to provide a weatherproof seal as the chimney passes through the roof. Different types of flashings are available for different types of roofs. Used where the flue has a length of 2m or more without being fixed to the wall. The guy wire bracket fits around the pipe and the guy wire kit provides the wire, brackets and tensioners to keep the flue in place. A rubber seal used on condensing installations. Used as a support on the top side of combustible floors that the chimney passes through. Use in conjunction with a Firestop Plate on the underside of the floor. Used to connect to elements at the joints. Fixes the pipe to the angled rafters in the roof space. 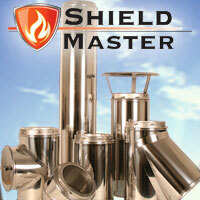 Ideal for any flue system experiencing difficulties in creating sufficient updraft. Ensures water tightness in the passage through the roof and protects the rubber flashing from extreme weather conditions. Fixed length pipe, connected to other elements of the chimney to form a twin wall flue system. Available in different lengths and diameters. Some are adjustable. A T-shaped section which allows connection to the soot collector (enabling easier cleaning) or connection between horizontal and vertical runs. Used to close off, or provide cleaning access to, the base of the flue. Also available with a drain point. Protects the chimney in the passage through a wall. Used to fix the chimney to the wall (a wall support must be used every 2 to 3 metres). Final element of the vertical run. This is an enhanced rain cap, which offers the same protection from the rain as well as some protection around the opening to stop wind gusts causing problems with the updraft. Recommended instead of a rain cap for use in exposed or high wind areas. All of our twin wall flue system components are made by fully CE-certified brands: Convesa KC, Dinak DW and Shieldmaster. These high-quality products all come with generous warranties, so you can be sure that your stove's pipes and accessories will keep you and your family safe and warm for many years. 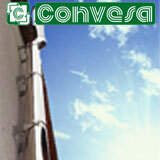 The KC Convesa twin wall flue pipe has an internal diameter of 5", 6", 7" or 8" (125mm-200mm). Constructed from high-quality, 0.4mm 304 grade stainless steel and 30mm of compressed Rockwool insulation, it boasts excellent insulating properties, fully-welded twin walls, secure locking bands already attached for easy assembly, and a 12-year warranty for long-term peace of mind. 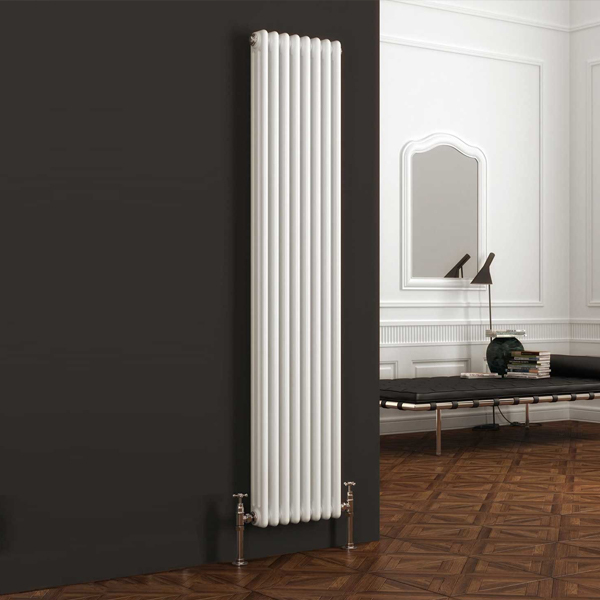 The Convesa KC Twin Wall system is designed for both internal and external use, and is suitable for all solid fuel, gas and oil appliances. It has a safe distance to combustibles of 60mm. 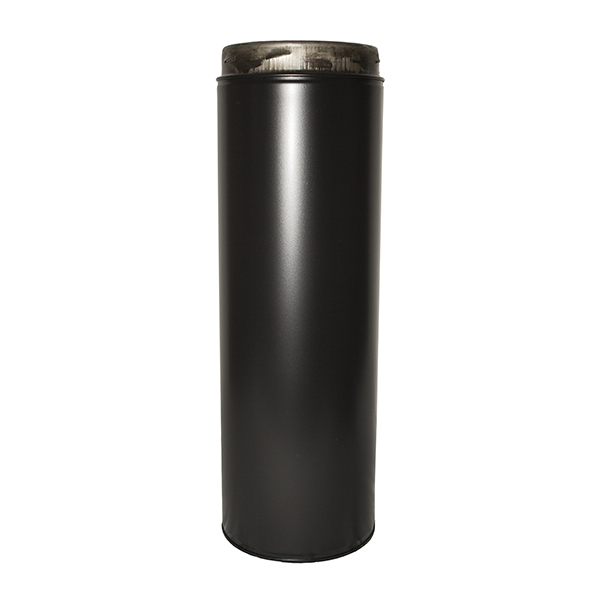 It is available in stainless steel or powder-coated to black. Dinak DW's twin wall flue system is available with an internal diameter of either 5" or 6" (125mm or 150mm). Made from 316 grade stainless steel and 30mm of compressed Rockwool insulation, it is hard-wearing and comes with a 10-year manufacturer's warranty. Compatible with wood, coal, gas and oil appliances, the Dinak DW system can be used internally or externally, with a minimum distance of 60mm from combustibles. Please note that locking bands must be purchased separately. 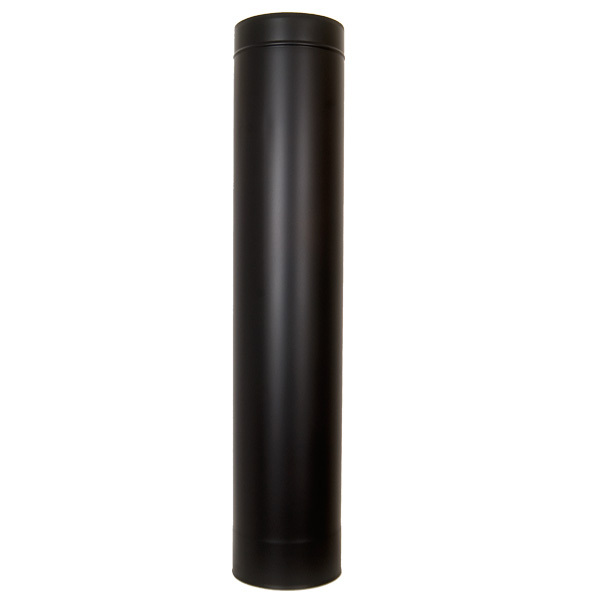 Available with an internal diameter of either 5" or 6" (125mm-150mm), the Shieldmaster twin wall flue pipe can be installed closer to combustible materials (just 50mm) than most other pipes available. 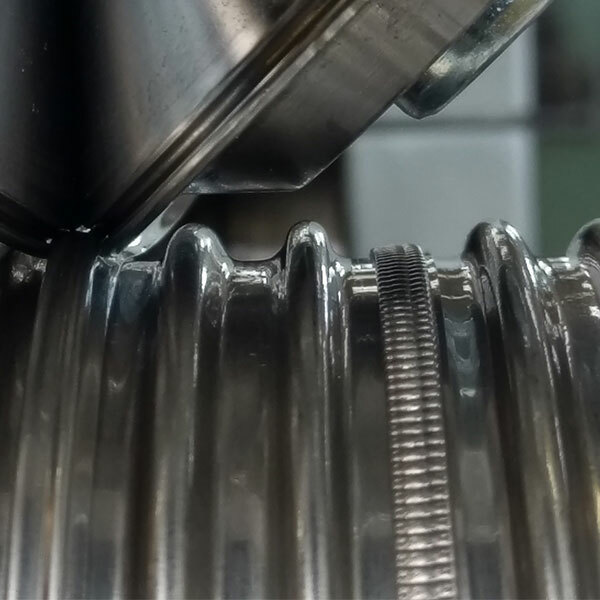 Its unique push-fit system means that components lock easily together without the need for any sealant or adhesives at the joints. With a 12-year manufacturer's warranty, this flue system is built to last. Please note - The brands are not compatible with each other - you cannot mix and match parts as they will not fit together. Shieldmaster, KC Convesa and Dinak are fully CE certified and marked for use in the UK. Both brands have also received the coveted HETAS approval and feature in their official guide. Browse our complete range today or call us for expert advice on: 01376 555 182.